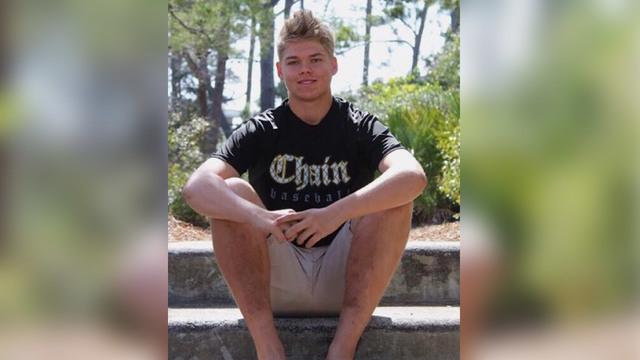 FLEMING ISLAND, Fla. - Two days after a Fleming Island High School sophomore collapsed while working out in the school's weight room, Wolfson Children's Hospital said Ben Johnson died of cardiac arrest and irreversible brain damage. 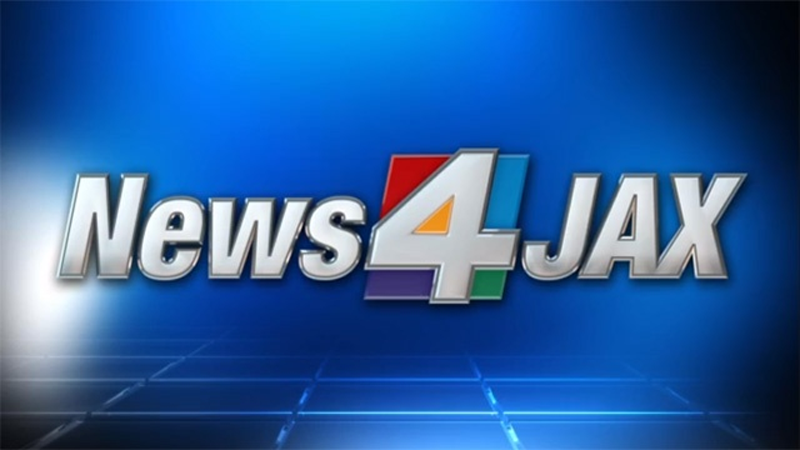 Doctors said an autopsy would be done to determine what caused Johnson's cardiac event. Johnson's family has received an outpouring of support on social media over the last 24 hours, from both the Fleming Island community and the school's county rivals, but has asked to grieve privately. Johnson, 16, played football and baseball, according to school officials, and collapsed during school hours Tuesday. He was taken to Orange Park Medical Center, then transferred to Wolfson Children's Hospital, where he remained in critical condition until 11:55 a.m. Thursday. In the last two weeks, Clay County has suffered a number of scenarios that have impacted our community. We are devastated to hear about the incident involving our student, Ben Johnson. He was known as a kind, caring friend and son, who was a leader inside and outside the classroom. Our thoughts and prayers are with Ben's family." Many classmates wore blue Wednesday to remember Johnson, who wore No. 78 on the Eagles football team. Many students said they want Johnson's family to know that were sending love and prayers. 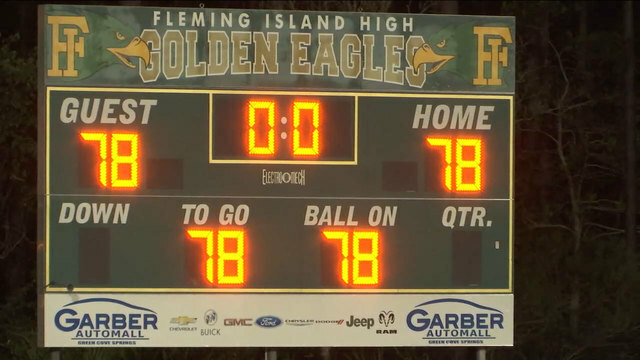 The Fleming Island High School junior varsity football team played its game Thursday night against county rival Ridgeview High School in Johnson’s honor. Many of Johnson's loved ones, including his mother, attended the game, wearing ribbons with his number and his favorite color, blue. Though it was a rivalry game, the players on the field and fans in the stadium put the competition aside and came together as one for No. 78. 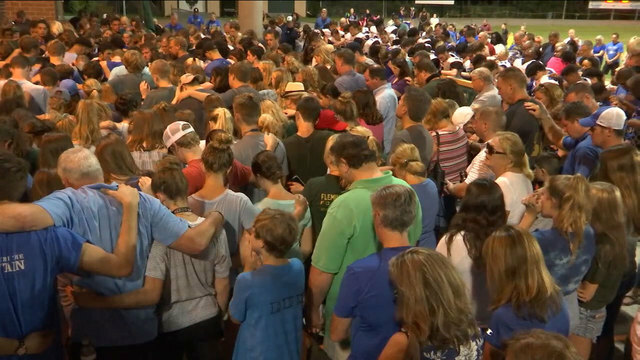 "I think it's amazing what God does in all our lives and just to see everyone gather together as one to just show their condolences and everything is amazing," said friend Evan Bossert, who described Johnson as being like a brother. "He was that kind of guy that always had your back and he was always there for you." Bossert said although he's going to miss joking around with Johnson, he knows his friend, and brother, is watching over everyone from heaven. Cody Carmon said his friendship with Johnson started three years ago on his first day at a new middle school when Johnson invited him to sit at his lunch table. "He was very caring, so I appreciated that about him a lot," Carmon said. "It's important for me to be here because we're supporting him and we're supporting his family and we're supporting all of his friends and loved ones." Carmon said friends and teammates like Johnson are rare, and he'll never forget how Johnson took him under his wing as a new kid in school. At the end of the game, a vigil was held and loved ones lit up the football field as they formed a "78" to remember Johnson. No. 78 was also displayed on the scoreboard. A GoFundMe page set up to support the Johnson family had raised $23,810 by 10 p.m. Thursday.